The Mid-West Humanists meeting on Wednesday 21 September 2016 had a further discussion on abortion law in Ireland (that is, the Constitution, Article 40.3.3, added by the 8th amendment in 1983). All those who attended gave views. There were several different views, all with supporting reasons. As this is a very important matter, the whole of a future meeting will be devoted to abortion and the 8th Amendment to Ireland’s Constitution (1983). The September meeting also resolved that several Mid-West Humanists will be on the street in Limerick on World Blasphemy Day 30 September 2016 – details here. This applies to the question about a person’s religion, and to some other questions also. You can read the 2016 Census form on the Central Statistics Office website. There are 4 questions (of 11 questions) about the household on page 2 of the Census form, that have between 5 and 9 optional answers, with one answer being “none” or a similar word – central heating fuel, source of piped water, destination of sewage, and cars (or vans). Question H6 Central Heating includes “No central heating” as option 1. In the other 3, “none” is the last option. There are 4 questions (of 34 questions) about each person on later pages of the form, that have between 7 and 11 optional answers, with one answer being “none” or a similar word. Of these, only in the religion question (Q12) is the “none” option last. Q19 Mode of travel daily, Q20 Time leaving home in the morning daily, and Q25 Formal Education all have the “none” option first. So, if your house or other residence has no central heating, or if you do not travel daily to work, school, or college, or if you have never been to any school, you do not have to pore over several irrelevant options before finding the right answer for you (or your residence) at the end. If you glance through 4 to 10 options which are all wrong, and you are a little bothered by filling the form, you may mark a box that is not true. You may notice so much about the various options, that you do not notice the content of the last option. You may behave as if the set of answers forces you to pick one of the first few options, even though they are not true about you. On seeing that of these 8 questions, the Central Statistics Office has put the “none” option first in 4 and last in the other 4, I wonder if the CSO thinks that there may sometimes be bias in having a particular option at either the start or the end. I notice the confusion caused by having to read 4 to 10 options that do not fit yourself, so that you are not concentrating when your eyes reach the last option (which is the right one for you). Atheist and humanist organisations have in recent decades said that the presence of several religions as the first few optional replies to the religion question leads to people thinking of a religion to which they subscribed in the past, and marking the box for that. They have proposed splitting the religion question into 2 parts. First, Do you have a religion? (yes/ no). Second (if you wrote Yes), What is your religion? It has been difficult to get the CSO to consider changing the question. If the question does not become divided into 2 parts, to put the “none” option as the first option would a good step. The CSO are clearly not opposed to a “none” option being the first option in a census question. When the census is complete, the Mid-West Humanists intend to write to the CSO to seek to have the religion question improved. This is about the reasons to mark box 7 “No religion”, and not to write your own words under box 6. The Mid-West Humanists meet, one evening each month in the Absolute Hotel, Limerick, and at brunches and other social events. We meet so that we can talk and listen to other people who do not have a religion or believe in a god. People come because they notice that society does not quite recognise that people might have NO religion (while society easily recognises people having a variety of different religions). 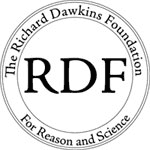 As well as society not fully allowing that quite a lot of people have no religion and do not think that there is an afterlife or any gods, the State and its services are quite clearly biased towards every person having a religion (the state, like society, easily recognises that people have a variety of religions). The most important service from the state is Education. People with no religion generally want to let their children understand both no religion and the variety of religions that other people have. And they want their children not to receive ideas that are not facts but only some people’s beliefs as if they are facts. You may also meet difficulty when making a legal declaration that what you say or write is true. On becoming a witness in court, people mostly have to ask to make the affirmation with no mention of religion. When you do this, the judge or jury now knows you are distinguished from most people by having no religion, and sometimes this lets them treat your evidence less fairly. The State might come to recognise the substantial portion of the people who have no religion, and then treat them fairly in its services, if the state received more accurate information through the Census. The Central Statistics Office’s computer reads the marks in the boxes, and calculates the numbers in categories 1, 2, 3, 4, 5, and 7. The total of people who marked no 7 will be the CSO number of people with no religion. The more people who do not have a religion who mark box 7, the more the State must recognise that their numbers are substantial. The religions (or non-religious titles) that people write in the 20 spaces under no 6 will be read by people in the CSO. From these the CSO will derive numbers of people with religions other than the five in the list on the form. “Atheist”, “Humanist”, “Agnostic”, “No Religion”, and various other words that actually do not mean a religion will result in Census numbers for those titles, as if they are religions. The CSO presents them within a list of other religions (of which there are usually many hundreds). These numbers, which in the 2011 Census were in the tens of thousands, do not enter the public information as numbers of people with no religion. So, the Mid-West Humanists suggest that people with no religion mark box 7 “No religion”; and do not write in the spaces under box 6. The Mid-West Humanists also note that (as the CSO instructs enumerators) Question 12 on religion is about your religious belief, actions, or attachment NOW, not at any earlier time in life. We ask people who are aware of their past attachment to a religion, but who now do not believe in that religion’s doctrines and/or do not attend that religion’s services, to mark box 7 to indicate that they do not have a religion in 2016. There is a bias in a question if the “none of the above” option is last. The Census 2016 form has 4 household questions and 4 questions for each individual person that include a “none” option.